Demand for electricity has been growing steadily in India which has resulted in a persistent power crisis. To help you overcome this constant crisis, Exide has brought you an alternate option by introducing its power pack range of batteries. Buy Exide Dynex 150AH Tall Tubular inverter battery online from www.batteryguru.in and say a permanent no to blackouts. On purchase, you will get the most exciting deals to make your shopping experience worth a while. 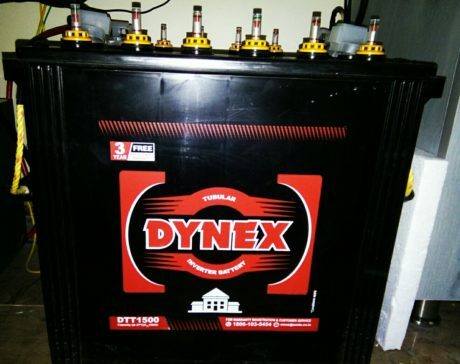 This battery is the most ideal option for the people suffering from a prolonged and frequent power failure as the battery gives 800 to 1,000 cycles of deep discharge in comparison to 300 to 400 cycles of other batteries. The most advanced Tubular Technology of Exide has been used to manufacture this.